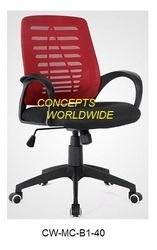 Task Chair online with Price, Manufacturers, Suppliers, Traders and Companies in India. Being a prominent manufacturer of residential and commercial furniture, we also provide Staff Task Chairs. These are perfectly designed by our competent team of designers keeping in mind the comfort and requirements of end users. We bring wide range of Staff & Computers Chairs Rc 539 that are highly acknowledged all across the globe due to its contemporary designs, elegant finish and long life. We are engaged in manufacturing of stylish Staff / Task Chairs which are highly durable and have strong load bearing capacity. These elegant chairs find application at offices, institutions and others and are manufactured using premium quality raw material. 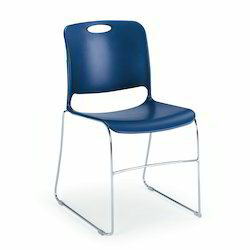 We manufacture and supply high quality and durable Revolving Computer Chairs without Arm Rest. These are available as per buyer requirements at affordable rates. Our company has gained name and fame in presenting Armless Office Chair. We are Authorized Distributor of Wipro Furniture .